Preparing Siblings Before You Go Into Labor, Plus a GIVEAWAY! You are here: Home / All categories / Preparing Siblings Before You Go Into Labor, Plus a GIVEAWAY! It’s Labor Day and we know that moms have the toughest job! 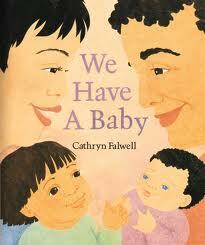 I thought we’d look at some books to read with siblings before you go into labor with that new baby. There has been a baby boy explosion this year in my life- Nathan, Bryce, Connor, Eli, Zachary and Benjamin. All of these boys have joined the families of people that I know. To celebrate all of these births, we are having a great GIVEAWAY today too! So, keep reading. Before we get to that giveaway, let’s explore some books that can be read in preparation for a new little one joining the household. Baby on the Way by Sears and Watts Kelly compares how a mother feels during a pregnancy with experiences that a child can relate to in their own lives. 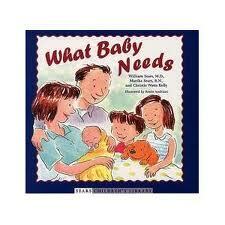 What Baby Needs by the same authors looks at how family life changes when a new infant enters the house. These books would work well for ages 2-8. What to Expect When Mommy’s Having a Baby by Murkoff takes you through that list of questions like, How are babies made? and How does the baby grow? 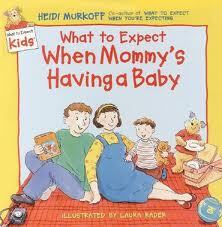 You may know Murkoff from her adult book, What to Expect When You are Expecting. This one would probably be best for ages 3-8. We Have a Baby by Falwell is a very simple but beautiful picture book depicting a baby arriving home and all the routines that go along with having a new baby in the house. This book would work especially well with very littles ones 18 months-4 years. 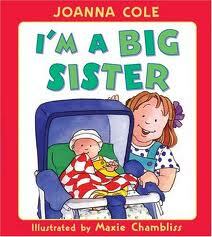 I’m a Big Brother and I’m a Big Sister by Cole are identical books except for the gender differences. Written in first person, the text makes it easy for older siblings to connect with what it’s like to have a new baby in the house. Age recommendation would be 3-8 years old. 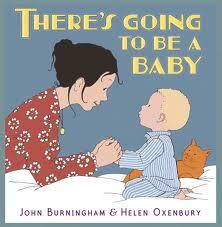 There’s Going to Be a Baby by Burningham looks at all the questions a little one might have about a new little one. The boy in the story thinks about what it might be like to have a baby. He contemplates whether or not he may or may not like having the new addition to his family. This one would work well for ages 2-8. Have you read a book to an older sibling that isn’t on the list? Please leave a comment and share the title and what you thought about the book. Now, to the GIVEAWAY! One lucky Growing Book by Book reader will recieve 5 board books that would be perfect for that new little one in your life or to give as a baby shower present. It’s simple to enter. Please see the guidelines below. 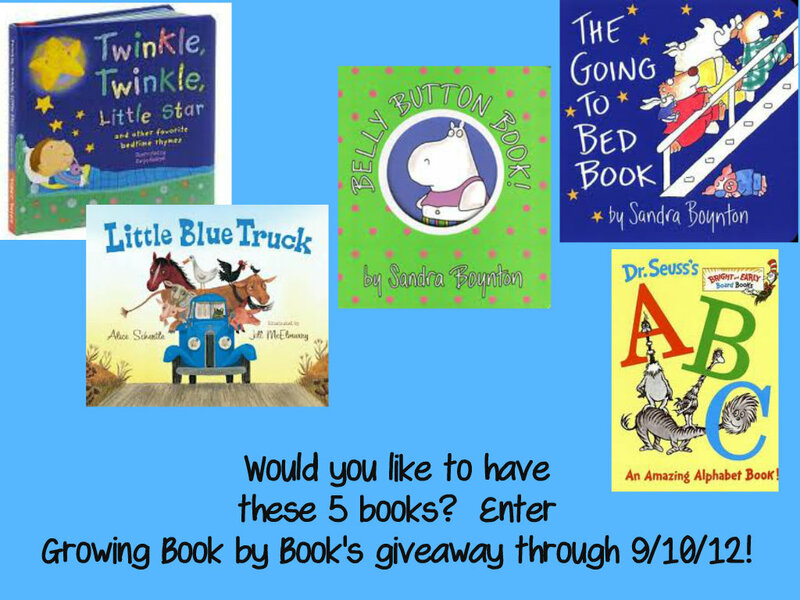 You have multiple chances to win a collection of five board books hand-picked by Growing Book by Book. Titles include- Little Blue Truck, The Going to Bed Book, Dr. Seuss ABC, The Belly Button Book and Twinkle, Twinkle Little Star. There you go! Four ways to win! Entries will be accepted until 9/10/12 at 9:00pm (CST). The lucky giveaway winner will be randomly selected the week of 9/10/12 and announced on this site. I will contact the winner via email. I can ship to USA addresses only. Good luck! i just saw the winner. Thanks for offering this giveaway! When will the winner be announced? Did I miss it? Thanks! Would love these books! My son loves reading! What a great list, which has some great gift ideas. Thanks! I absolutely LOVE these books! I would love to win them! I also follow on email! I am a Pinterest follower! I hope to win these books. Our family reads together nightly and these would be a great addition to our growing library. 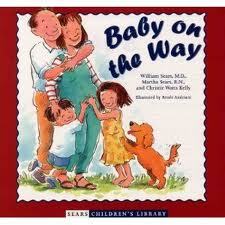 We have enjoyed many of the activities on your site, but beware reading this kind of “get ready for new baby” books. Little ones may not be discerning. My dear neighbor read books like these to her daughter and found that instead of “big sister” welcoming the new baby as the books did, she repeated all the sour attitudes the book put on the “big sister” in the story. She repeated the grumbling as it was scripted in the book. Sometimes books that desire to teach a lesson display the bad attitude so well the young child can catch that and miss that there is a better way to live. I have found mine, I have eight, can come up with enough sour attitudes on their own w/o my reading a script to them. My plan has been to be enthusiastic and script loving comments for my children. Our children can and will tend to follow our example. As we talk about the joy of a new sibling, including them in preparations gives them a sense of anticipation. Sorry this is so long, I just want to encourage moms in being discerning about what examples we put before our little ones. Thank you so much for your great example to teach your children the fun of learning. We have loved the Bible memory cards you did over a year ago . They were a great help with my little two! Thank you for sharing your thoughts. I really tried to select books that focused on the excitement and positive feelings associated with having a new baby arrive in the house. I think that anytime you are using a book to help a child cope with new feelings, it’s very important to have open communication before, during and after reading. Many times children find it helpful to identify with a character in a book who is feeling the same way they are. I so agree that allowing siblings to prepare for the new bundle of joy is extremely important. Thank you again for taking the time to share with the Growing Book by Book readers. 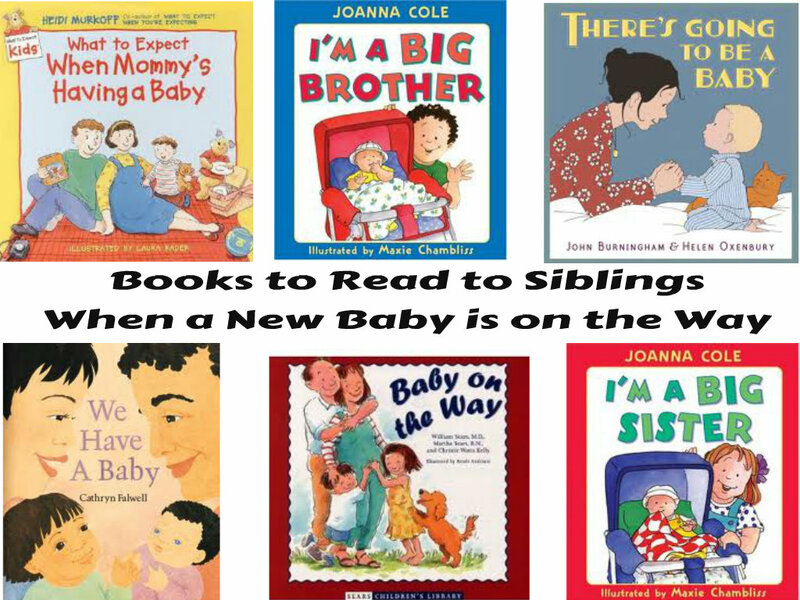 I think it’s great that there are so many good books to prepare children for new siblings. I also liked Growing Book by Book on Facebook. I am already an email follower. Just became a pinterest follower. too! This would be awesome! Great ideas! I’m following via email now too 🙂 Thanks for the book ideas! I am following this site on Pinterest. I am now email follower as well. I liked Growing by Books on Facebook. We like books here, so these would be perfect for our collection. 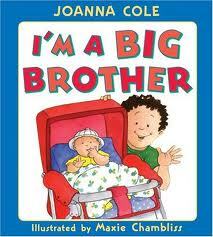 Any suggestions for a “big brother” book my son while we wait for a sibling via adoption? You might look into How I Became a Big Brother by Dave Moore or Pinky and Rex and the New Baby by James Howe. Congrats!!! These books would be a delight to our family. I am now a follower on pinterest! I would love to recieve these books for my little one. He would adore them. He loves to hear me read to him.